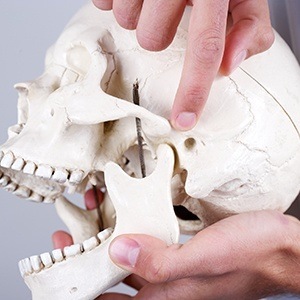 Many patients suffer from TMJ dysfunction and think there's nothing that can be done about it. Oh, how wrong they are. Our Costa Mesa, CA office welcomes all patients who are suffering from this uncomfortable ailment. Your jaw creates the foundation that your mouth needs in order to function properly. It helps you eat, talk, and more. You might not realize just how vital your jaw is until it starts to fail. We take the necessary steps to improve the function and comfort of your jaw. Eating and talking shouldn’t be painful, and we aim to relieve you from TMJ pain for good. Why Choose Advanced Dental Care for TMJ Therapy? This particular disease primarily affects the jaw muscles and nerves of the temporomandibular joint. These are the important parts of your jaw; it helps you open and close your mouth. 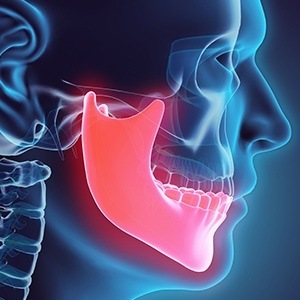 This is especially important for performing tasks that take no thought like eating, speaking, yawning, sneezing, and whatever else involves moving your jaw up and down. Each part of the jaw is affected – lower and upper portions included. Problems that keep your jaw and its respective muscles and nerves from operating properly and without pain can be pointed directly to an agonizing TMJ disorder. If symptoms are so severe that nothing you have tried has worked, it's time to see Dr. Jorgenson for further TMJ treatment. He will help you correct any alignment issues causing the painful symptoms. 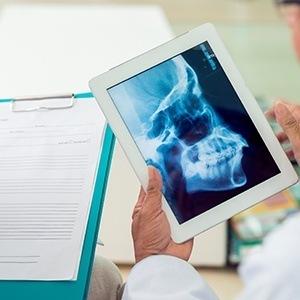 You will sit with Dr. Jorgenson for a one-on-one consultation to discuss what treatment options are best for you before hashing out a plan to restore your jaw's health. Dr. Jorgenson will either fit you for a special orthodontic appliance or begin laser therapy sessions to rid you of the pain from TMJ disorder. TMJ laser therapy sessions are state-of-the-art and industry leading at 15 minute intravels for up to 6 sessions. We pride ourselves on providing compassionate care for you and your family. We're happy to extend TMJ/TMD therapy to patients in and around Costa Mesa, CA, including Irvine, Newport Beach, Huntington Beach, and beyond.